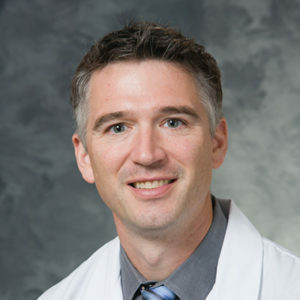 I am an assistant professor in the Department of Human Oncology with a clinical focus on gastrointestinal cancers and research interests in MRI-guided radiation and immunotherapy. I have been developing the use of real-time MRI-guided radiation to reduce toxicity, maximize local control and improve patient outcomes. Additionally, I am involved in combining immunotherapies with anatomically targeted high-dose radiotherapy to improve the antigen specific T cell response. Cancers of the gastrointestinal tract are in proximity to sensitive normal organs such as intestine, stomach, kidneys and the biliary system. Management of motion during radiation treatment is critical when treating abdominal cancers, which can be heavily influenced by diaphragmatic movement. With the advent of focused, high-dose, stereotactic body radiation therapy (SBRT), tracking the tumor and normal tissues during treatment is critical for the use of hypo-fractionated radiation into the abdomen. MRI guidance has the potential for improved patient alignment and the ability to directly visualize tumor position during radiotherapy treatment. It also allows a much clearer understanding of delivered dose to each organ aiding in our understanding of organ-specific dose tolerance and offering physicians the ability to rapidly alter the radiation treatment plan. I am investigating if this can be used to increase tumor control and decrease associated radiation related toxicity to normal organs. I have been heavily involved in developing clinical trials and protocols for the clinical use for MRI guidance in treatment of GI tumors. A second research focus is combining stereotactic radiation treatment with immune checkpoint inhibitors. Focused radiation causes a multitude of immunomodulatory effects and there is strong support that this can be synergistic with T cell responses. PD-1 inhibitors that lower the threshold for a T cell response, are being investigated for synergy with radiation to colorectal and pancreatic cancers. BACKGROUND: Adaptive magnetic resonance imaging-guided radiation therapy (MRgRT) can escalate dose to tumors while minimizing dose to normal tissue. We evaluated outcomes of inoperable pancreatic cancer patients treated using MRgRT with and without dose escalation. METHODS: We reviewed 44 patients with inoperable pancreatic cancer treated with MRgRT. Treatments included conventional fractionation, hypofractionation, and stereotactic body radiation therapy. Patients were stratified into high-dose (biologically effective dose [BED10 ] >70) and standard-dose groups (BED10 ≤70). Overall survival (OS), freedom from local failure (FFLF) and freedom from distant failure (FFDF) were evaluated using Kaplan-Meier method. Cox regression was performed to identify predictors of OS. Acute gastrointestinal (GI) toxicity was assessed for 6 weeks after completion of RT. RESULTS: Median follow-up was 17 months. High-dose patients (n = 24, 55%) had statistically significant improvement in 2-year OS (49% vs 30%, P = 0.03) and trended towards significance for 2-year FFLF (77% vs 57%, P = 0.15) compared to standard-dose patients (n = 20, 45%). FFDF at 18 months in high-dose vs standard-dose groups was 24% vs 48%, respectively (P = 0.92). High-dose radiation (HR: 0.44; 95% confidence interval [CI]: 0.21-0.94; P = 0.03) and duration of induction chemotherapy (HR: 0.84; 95% CI: 0.72-0.98; P = 0.03) were significantly correlated with OS on univariate analysis but neither factor was independently predictive on multivariate analysis. Grade 3+ GI toxicity occurred in three patients in the standard-dose group and did not occur in the high-dose group. CONCLUSIONS: Patients treated with dose-escalated MRgRT demonstrated improved OS. Prospective evaluation of high-dose RT regimens with standardized treatment parameters in inoperable pancreatic cancer patients is warranted. PURPOSE: Tumor delineation using conventional CT images can be a challenge for pancreatic adenocarcinoma where contrast between the tumor and surrounding healthy tissue is low. This work investigates the ability of a split-filter dual-energy CT (DECT) system to improve pancreatic tumor contrast and contrast-to-noise ratio (CNR) for radiation therapy treatment planning. MATERIALS AND METHODS: Multiphasic scans of 20 pancreatic tumors were acquired using a split-filter DECT technique with iodinated contrast medium, OMNIPAQUETM . Analysis was performed on the pancreatic and portal venous phases for several types of DECT images. Pancreatic gross target volume (GTV) contrast and CNR were calculated and analyzed from mixed 120 kVp-equivalent images and virtual monoenergetic images (VMI) at 57 and 40 keV. The role of iterative reconstruction on DECT images was also investigated. Paired t-tests were used to assess the difference in GTV contrast and CNR among the different images. RESULTS: The VMIs at 40 keV had a 110% greater image noise compared to the mixed 120 kVp-equivalent images (P < 0.0001). VMIs at 40 keV increased GTV contrast from 15.9 ± 19.9 HU to 93.7 ± 49.6 HU and CNR from 1.37 ± 2.05 to 3.86 ± 2.78 in comparison to the mixed 120 kVp-equivalent images. The iterative reconstruction algorithm investigated decreased noise in the VMIs by about 20% and improved CNR by about 30%. CONCLUSIONS: Pancreatic tumor contrast and CNR were significantly improved using VMIs reconstructed from the split-filter DECT technique, and the use of iterative reconstruction further improved CNR. This gain in tumor contrast may lead to more accurate tumor delineation for radiation therapy treatment planning. PURPOSE: Accurate identification of the gross tumor volume (GTV) in pancreatic adenocarcinoma is challenging. We sought to understand differences in GTV delineation using pancreatic computed tomography (CT) compared with magnetic resonance imaging (MRI). METHODS AND MATERIALS: Twelve attending radiation oncologists were convened for an international contouring symposium. All participants had a clinical and research interest in pancreatic adenocarcinoma. CT and MRI scans from 3 pancreatic cases were used for contouring. CT and MRI GTVs were analyzed and compared. Interobserver variability was compared using Dice's similarity coefficient (DSC), Hausdorff distances, and Jaccard indices. Mann-Whitney tests were used to check for significant differences. Consensus contours on CT and MRI scans and constructed count maps were used to visualize the agreement. Agreement regarding the optimal method to determine GTV definition using MRI was reached. RESULTS: Six contour sets (3 from CT and 3 from MRI) were obtained and compared for each observer, totaling 72 contour sets. The mean volume of contours on CT was significantly larger at 57.48 mL compared with a mean of 45.76 mL on MRI, P = .011. The standard deviation obtained from the CT contours was significantly larger than the standard deviation from the MRI contours (P = .027). The mean DSC was 0.73 for the CT and 0.72 for the MRI (P = .889). The conformity index measurement was similar for CT and MRI (P = .58). Count maps were created to highlight differences in the contours from CT and MRI. CONCLUSIONS: Using MRI as a primary image set to define a pancreatic adenocarcinoma GTV resulted in smaller contours compared with CT. No differences in DSC or the conformity index were seen between MRI and CT. A stepwise method is recommended as an approach to contour a pancreatic GTV using MRI. Improvements in surgical technique and perioperative care have resulted in increased long-term survival for patients with congenital heart disease. As these patients begin to reach their later years, clinicians are challenged with determining optimal management of noncardiac diseases in this complex patient population, including surgically treatable malignancies. We present a case of esophageal cancer in a patient with previously repaired tetralogy of Fallot and right-sided aortic arch, treated with neoadjuvant therapy followed by laparoscopic and left thoracoscopic esophagectomy. PURPOSE: Nearly two-thirds of cancer patients seek information about their diagnosis online. We assessed the readability of online patient education materials found on academic radiation oncology department Web sites to determine whether they adhered to guidelines suggesting that information be presented at a sixth-grade reading level. METHODS AND MATERIALS: The Association of American Medical Colleges Web site was used to identify all academic radiation oncology departments in the United States. One-third of these department Web sites were selected for analysis using a random number generator. Both general information on radiation therapy and specific information regarding various radiation modalities were collected. To test the hypothesis that the readability of these online educational materials was written at the recommended grade level, a panel of 10 common readability tests was used. A composite grade level of readability was constructed using the 8 readability measures that provide a single grade-level output. RESULTS: A mean of 5605 words (range, 2058-12,837) from 30 department Web sites was collected. Using the composite grade level score, the overall mean readability level was determined to be 13.36 (12.83-13.89), corresponding to a collegiate reading level. This was significantly higher than the target sixth-grade reading level (middle school, t (29) = 27.41, P < .001). CONCLUSIONS: Online patient educational materials from academic radiation oncology Web sites are significantly more complex than recommended by the National Institutes of Health and the Department of Health and Human Services. To improve patients' comprehension of radiation therapy and its role in their treatment, our analysis suggests that the language used in online patient information should be simplified to communicate the information at a more appropriate level. BACKGROUND: The NIH and Department of Health & Human Services recommend online patient information (OPI) be written at a sixth grade level. We used a panel of readability analyses to assess OPI from NCI-Designated Cancer Center (NCIDCC) Web sites. METHODS: Cancer.gov was used to identify 68 NCIDCC Web sites from which we collected both general OPI and OPI specific to breast, prostate, lung, and colon cancers. This text was analyzed by 10 commonly used readability tests: the New Dale-Chall Readability Formula, Flesch Reading Ease scale, Flesch-Kinaid Grade Level, FORCAST scale, Fry Readability Graph, Simple Measure of Gobbledygook test, Gunning Frequency of Gobbledygook index, New Fog Count, Raygor Readability Estimate Graph, and Coleman-Liau Index. We tested the hypothesis that the readability of NCIDCC OPI was written at the sixth grade level. Secondary analyses were performed to compare readability of OPI between comprehensive and noncomprehensive centers, by region, and to OPI produced by the American Cancer Society (ACS). RESULTS: A mean of 30,507 words from 40 comprehensive and 18 noncomprehensive NCIDCCs was analyzed (7 nonclinical and 3 without appropriate OPI were excluded). Using a composite grade level score, the mean readability score of 12.46 (ie, college level: 95% CI, 12.13-12.79) was significantly greater than the target grade level of 6 (middle-school: P<.001). No difference between comprehensive and noncomprehensive centers was identified. Regional differences were identified in 4 of the 10 readability metrics (P<.05). ACS OPI provides easier language, at the seventh to ninth grade level, across all tests (P<.01). CONCLUSIONS: OPI from NCIDCC Web sites is more complex than recommended for the average patient. SBRT is increasingly utilized in liver tumor treatment. MRI-guided RT allows for real-time MRI tracking during therapy. Liver tumors are often poorly visualized and most contrast agents are transient. Gadoxetate may allow for sustained tumor visualization. Here, we report on the first use of gadoxetate during real-time MRI-guided SBRT. Ipilimumab, an antibody that enhances T-cell activation, may augment immunogenicity of tumor cells that are injured by radiation therapy. We hypothesized that patients with melanoma brain metastasis treated with both ipilimumab and radiotherapy would have improved overall survival, and that the sequence of treatments may affect disease control in the brain. We analyzed the clinical and radiographic records of melanoma patients with brain metastases who were treated with whole brain radiation therapy or stereotactic radiosurgery between 2005 and 2012. The hazard ratios for survival were estimated to assess outcomes as a function of ipilimumab use and radiation type. Seventy patients were identified, 33 of whom received ipilimumab and 37 who did not. The patients who received ipilimumab had a censored median survival of 18.3 months (95% confidence interval 8.1-25.5), compared with 5.3 months (95% confidence interval 4.0-7.6) for patients who did not receive ipilimumab. Ipilimumab and stereotactic radiosurgery were each significant predictors of improved overall survival (hazard ratio = 0.43 and 0.45, with P = 0.005 and 0.008, respectively). Four of 10 evaluable patients (40.0%) who received ipilimumab prior to radiotherapy demonstrated a partial response to radiotherapy, compared with two of 22 evaluable patients (9.1%) who did not receive ipilimumab. Ipilimumab is associated with a significantly reduced risk of death in patients with melanoma brain metastases who underwent radiotherapy, and this finding supports the need for multimodality therapy to optimize patient outcomes. Prospective studies are needed and are underway. The efficacy of radiation therapy for lung cancer is limited by radiation-induced lung toxicity (RILT). Although tumor necrosis factor-alpha (TNF-α) signaling plays a critical role in RILT, the molecular regulators of radiation-induced TNF-α production remain unknown. We investigated the role of a major TNF-α regulator, Tristetraprolin (TTP), in radiation-induced TNF-α production by macrophages. For in vitro studies we irradiated (4 Gy) either a mouse lung macrophage cell line, MH-S or macrophages isolated from TTP knockout mice, and studied the effects of radiation on TTP and TNF-α levels. To study the in vivo relevance, mouse lungs were irradiated with a single dose (15 Gy) and assessed at varying times for TTP alterations. Irradiation of MH-S cells caused TTP to undergo an inhibitory phosphorylation at Ser-178 and proteasome-mediated degradation, which resulted in increased TNF-α mRNA stabilization and secretion. Similarly, MH-S cells treated with TTP siRNA or macrophages isolated from ttp (-/-) mice had higher basal levels of TNF-α, which was increased minimally after irradiation. Conversely, cells overexpressing TTP mutants defective in undergoing phosphorylation released significantly lower levels of TNF-α. Inhibition of p38, a known kinase for TTP, by either siRNA or a small molecule inhibitor abrogated radiation-induced TNF-α release by MH-S cells. Lung irradiation induced TTP(Ser178) phosphorylation and protein degradation and a simultaneous increase in TNF-α production in C57BL/6 mice starting 24 h post-radiation. In conclusion, irradiation of lung macrophages causes TTP inactivation via p38-mediated phosphorylation and proteasome-mediated degradation, leading to TNF-α production. These findings suggest that agents capable of blocking TTP phosphorylation or stabilizing TTP after irradiation could decrease RILT. Immunological adjuvants, such as bacterial LPS, increase the mRNA levels of the IkB-related NF-kappaB transcriptional transactivator, Bcl-3, in activated T cells. Adjuvants also increase the life expectancy of activated T cells, as does over-expression of Bcl-3, suggesting that Bcl-3 is part of the pathway whereby adjuvants affect T cell lifespans. However, previous reports, confirmed here, show that adjuvants also increase the life expectancies of Bcl-3-deficient T cells, making Bcl-3's role and effects in adjuvant-induced survival uncertain. To investigate the functions of Bcl-3 further, here we confirm the adjuvant-induced expression of Bcl-3 mRNA and show Bcl-3 induction at the protein level. Bcl-3 was expressed in mice via a transgene driven by the human CD2 promoter. Like other protective events, over-expression of Bcl-3 slows T cell activation very early in T cell responses to antigen, both in vitro and in vivo. This property was intrinsic to the T cells over-expressing the Bcl-3 and did not require Bcl-3 expression by other cells such as antigen-presenting cells. PURPOSE: To assess disease-specific survival (DSS), overall survival (OS), and the effect of radiotherapy (RT) in patients with localized diffuse large B-cell lymphoma (DLBCL). PATIENTS AND METHODS: The Surveillance, Epidemiology, and End Results database was queried for all patients diagnosed with Stage I, IE, II, or IIE DLBCL between 1988 and 2004. The analyzable data included gender, age, race, stage, presence of extranodal disease, and RT administration. Patients who had died or were lost to follow-up within 6 months of diagnosis were excluded. RESULTS: A total of 13,420 patients met the search criteria. Of these, 5,547 (41%) had received RT and 7,873 (59%) had not. RT was associated with a significant DSS (hazard ratio, 0.82, p <0.0001) and OS benefit that persisted during the 15 years of follow-up. Elderly patients, defined either as those >60 or >70 years old, had significantly improved DSS and OS associated with RT. On multivariate analysis, RT was significantly associated with increased DSS and OS. The 5-year DSS outcomes were highly variable among patient subsets, defined by age, stage, and extranodal disease (range for RT-treated patients, 70% for Stage II, age >60 years to 87% for Stage I, age </=60 years). CONCLUSION: This analysis presents the largest detailed data set of Stage I-II DLBCL patients. The results of our study have demonstrated that RT is associated with a survival advantage in patients with localized DLBCL, a benefit that extends to elderly patients. Outcomes for discrete patient subsets varied greatly. The development of tailored therapy according to the relapse risk is warranted, rather than uniform treatment of all early-stage DLBCL. OBJECTIVE: To evaluate the outcomes of patients with locally advanced head and neck squamous cell carcinoma with N3 neck nodes treated with definitive chemoradiation. METHODS: Thirty-two patients with nonmetastatic locally advanced head and neck squamous cell carcinoma and N3 neck disease treated with concurrent chemoradiation therapy were evaluated. Overall survival, disease- free survival, locoregional control, and distant control were recorded. RESULTS: Median follow-up for surviving patients was 25 (range, 3-93) months. Seventeen of 32 (53%) patients failed, 13 in distant sites only, 2 in the neck only, 1 in the neck and a distant site, and 1 in the neck and primary site. The absolute rates of locoregional control and distant control were 88% and 56%, respectively. Actuarial overall survival and disease-free survival at 2 years were 51% and 29%, respectively. CONCLUSION: Patients with N3 neck disease treated with chemoradiation experience a very high rate of distant failure. Future studies investigating the role of additional systemic therapy in these patients are warranted. As research in synthetic biology and genomic sciences becomes more widespread, the need for diverse oligonucleotide populations has increased. To limit reagent cost, it would be advantageous to obtain high quality populations in minute amounts. Towards that end, synthesis of DNA strands in capillaries utilizing photolabile 3-nitrophenylpropyloxycarbonyl (NPPOC) chemistry and ultraviolet-light emitting diodes (UV-LEDs) was examined. Multiple oligonucleotides were made in single capillaries and were characterized by hybridization, sequencing and gene synthesis. DNA synthesized in capillaries was capable of being hybridized and signal intensities correlated with microarray data. Sequencing demonstrated that the oligonucleotides were of high quality (up to 44% perfect sequences). Oligonucleotides were combined and used successfully for gene synthesis. This system offers a novel, scalable method to synthesize high quality oligonucleotides for biological applications.